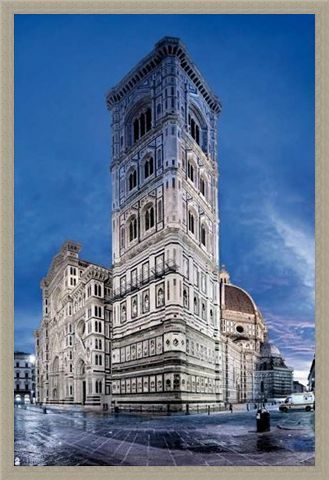 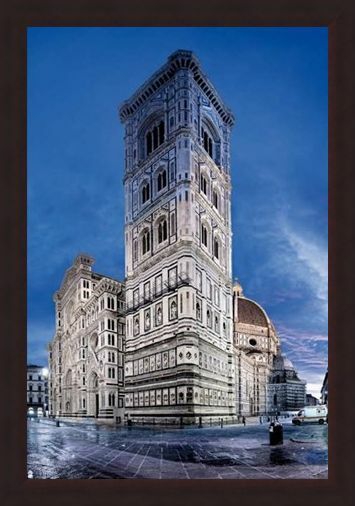 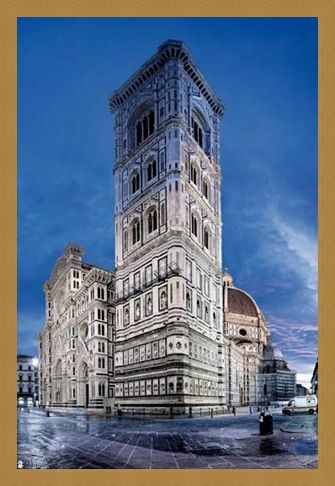 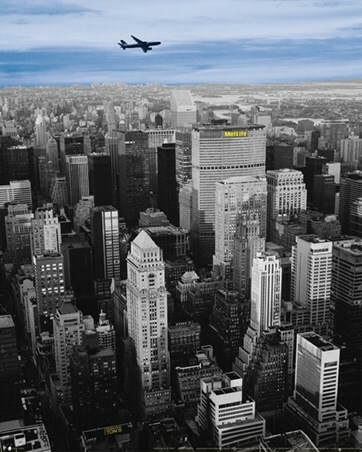 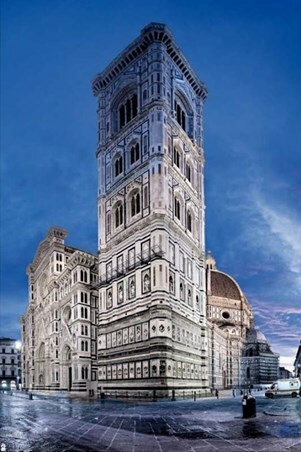 Architectural Photography Maxi Poster: This stunning piece of photography is lit up with the crisp blue sky and the vivid stone work that is displayed on the Florence Cathedral. Building began in 1296 and designed by Gothic architect Arnolfo di Cambio, this impressive monument displays beautiful shades of pink and green laid into the stone work making this Cathedral absolutely breath-taking. 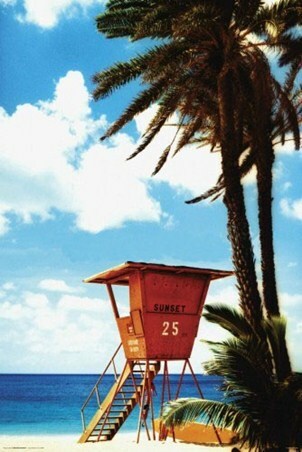 This is a perfect way to decorate your bare walls with sophistication and elegance. High quality, framed Cattedrale di Santa Maria del Fiore, Florence Cathedral poster with a bespoke frame by our custom framing service.